Scrooge or Santa’s helper? My pre-Christmas mood swings between bah-humbug and happy industry. 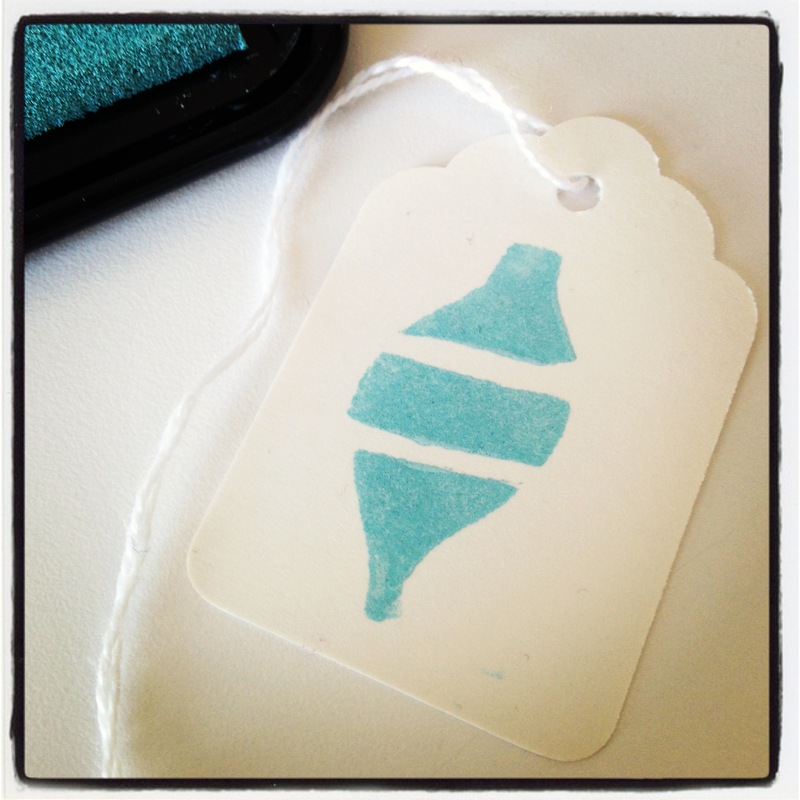 Buying stuff can send me into ethical, financial quandries, but wrapping stuff? I can handle that. The complicated origami of neatly packaging a basketball? Bring it on. 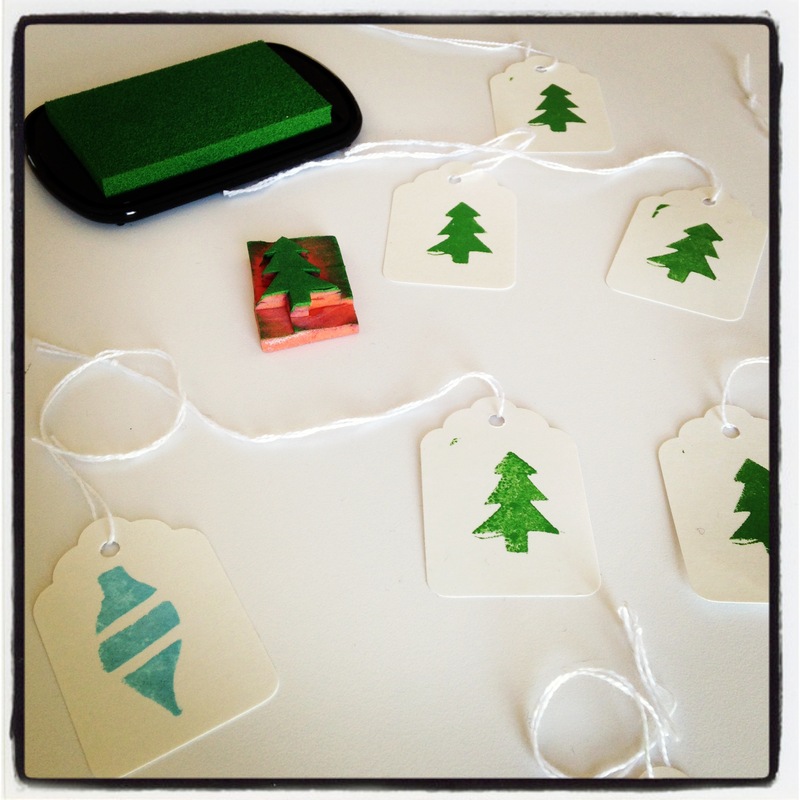 Stamping gift tags is another merry, mindless task for me. 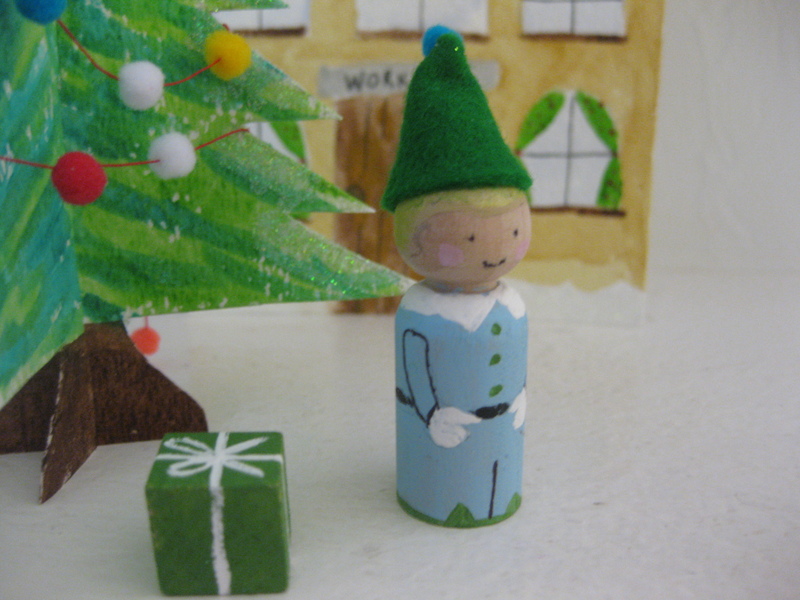 I made these stamps (cut out of foam) years ago, and I love digging them out every year. This year, I found a date stamp (the most recent year on it is 2007)–and put that to work, too.
. . . Merry Christmas, everyone! These little bunnies are easy and addictive to make–plus so cute! I had some left over wool felt from a tree skirt I made last year and wool stuffing that I bought ages ago and have used countless times. (I love when a seemingly extravagant purchase turns out to be perfectly practical.) 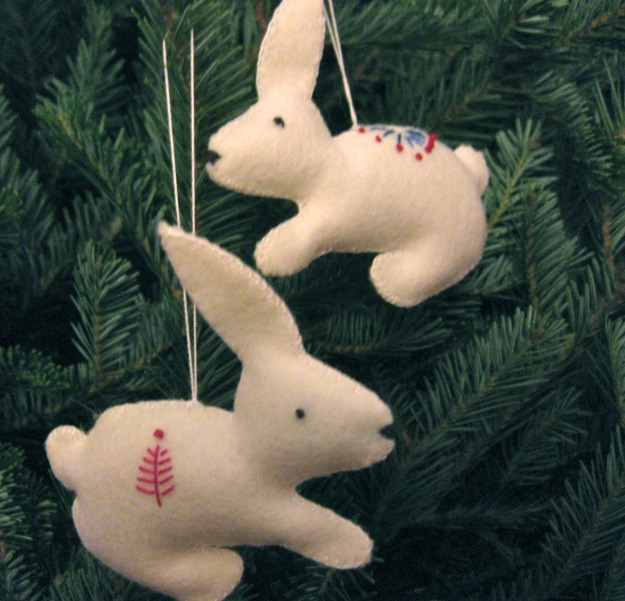 I made a cardstock template and cut out two felt bunnies for each ornament. I added the embroidered details and then blanket stitched the two sides together leaving a gap for stuffing. I learned after a few bunnies that more stuffing is better and it’s important to fill all the spaces. 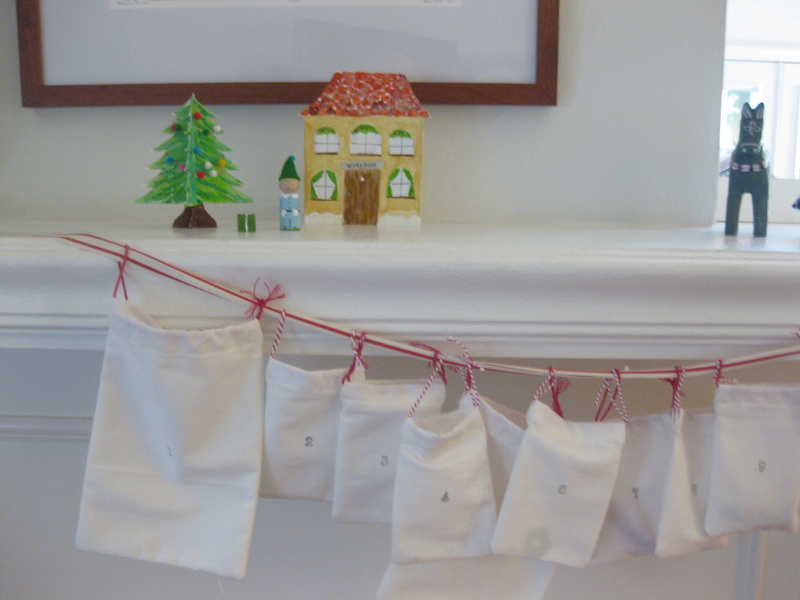 Then I just closed the gap and left a loop of thread for hanging. Simple! A Sweetheart candy-induced sugar rush fueled a valentine bonanza at our house this weekend. We tried out stamps that we made from heart-shaped buttons glued on wine/beer corks and tiny heart stamps carved into pencil erasers. Yes, carving a pencil eraser takes some adult fine motor skills–and I learned that a Speedball carving tool works better than an X-acto knife. We also sewed paper valentines with yarn stitches (I punched holes and my seven-year-old Zeke stitched). Zeke preferred simple stitches–the star design (above) was too tricky for him. 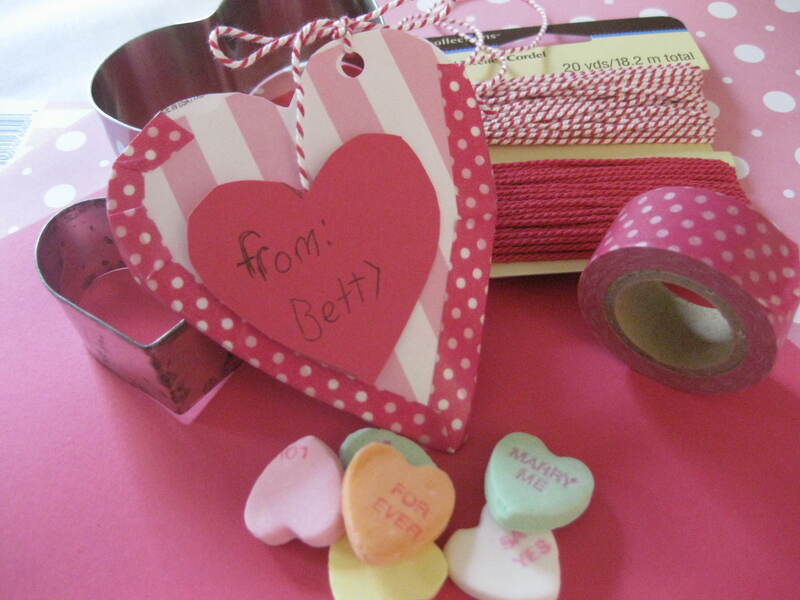 But when it came time for all-out valentine production for Zeke’s classmates, we kept things simple. 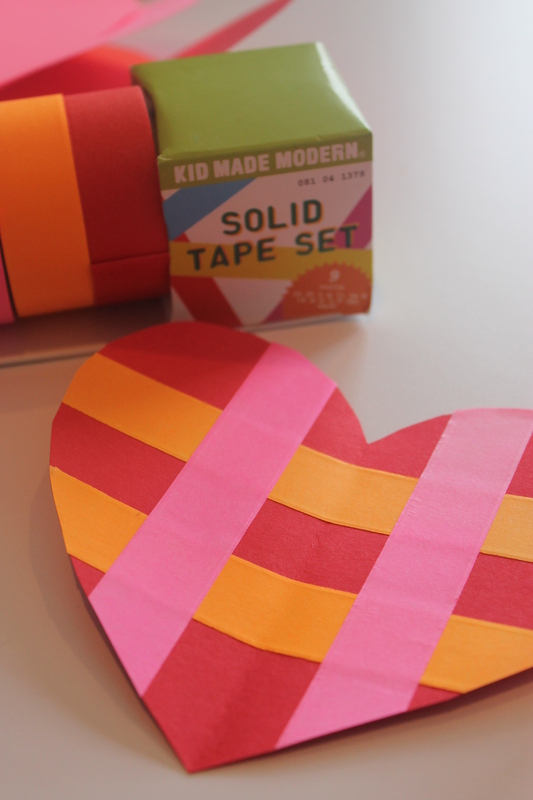 With washi tape and construction paper, we made big, neon plaid hearts. Happy Valentine’s Day!